← Roker Radio 94 Rebecca Ferguson & Seth MacFarlane! Roker Radio 95 Joel McHale & Craig Robinson! 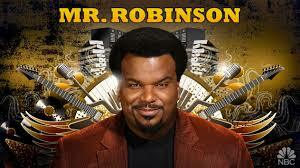 On This edition of Roker Radio two of your favorites from TV and movies, from The Soup and Community Joel McHale, and from The Office and Hot Tub Time Machine Craig Robinson. Plus, listen near the end for a Roker Radio Exclusive!